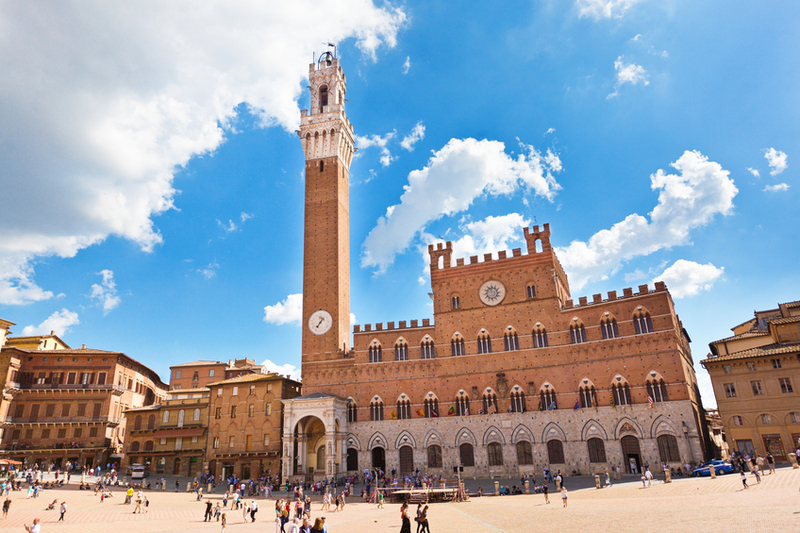 The shell-shaped piazza that is the centre of Siena was completed in 1340 and all manner of activities have taken place here, including boxing matches, bullfights and even executions. The Campo is home to the Fonte Gaia – the Fountain of Joy. But the one here is actually a 19th-century copy of the original fountain. The original is in the Maria della Scala museum (see below). Occupying almost of the whole of the south side of the Campo, the Palazzo Pubblico is a monumental Gothic building constructed in the late 13th century as the seat of the Sienese government. 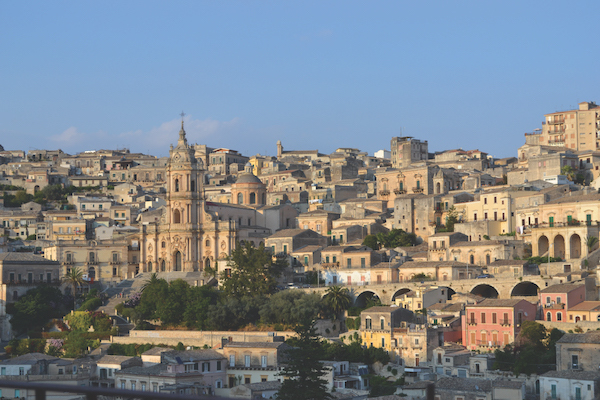 Today it is still home to the city authorities but it also houses the Museo Civico, which is full of wonderful art treasures. 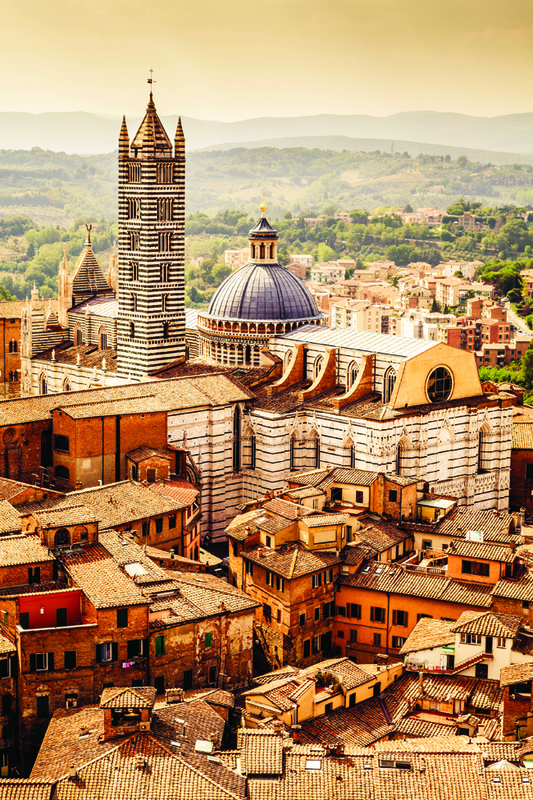 Soaring above the Palazzo Pubblico is the Torre del Mangia, where a climb of over 400 steps rewards you with magnificent views of Siena and the surrounding countryside. The Duomo is one of the most ornate in Italy and well worth spending a few hours exploring. Also visit the Baptistery and the Museo to get the full Duomo experience. Stretched in front of the Duomo this was once the city’s hospital. It was one of the first in Europe and was still treating patients right up until the 1980s. Now it is a fascinating museum complex – and one not to be missed. Perched on a steep escarpment, this enormous brick church was built by the Dominicans. It is vast and empty inside and most visitors come to see holy relics, mainly the preserved head of St Catherine. Other cases contain one of her fingers and the whip with which she is said to have flagellated herself.